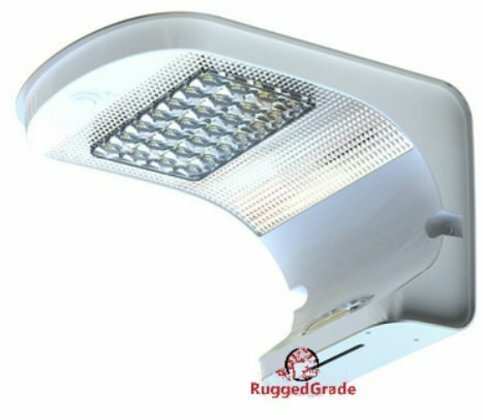 BRIGHT WALL LIGHT- 700 Lumens from 7 Watts of Bright LEDs. Stays a warm 3000k color until motion is detected and then goes full brightness at 5000k Bright White. Wall Light can be used anywhere. Above doors, for the backyard, use at a restaurant or office. Anywhere you need a good motion sensor LED light. LONG LIFE BATTERY - Premium 4000mah battery has the power to stay on longer and run for years and years. Twice the size of others. Solar Powered Rechargeable Battery. 1 Watt solar panel ensures the battery is charged quickly every day.